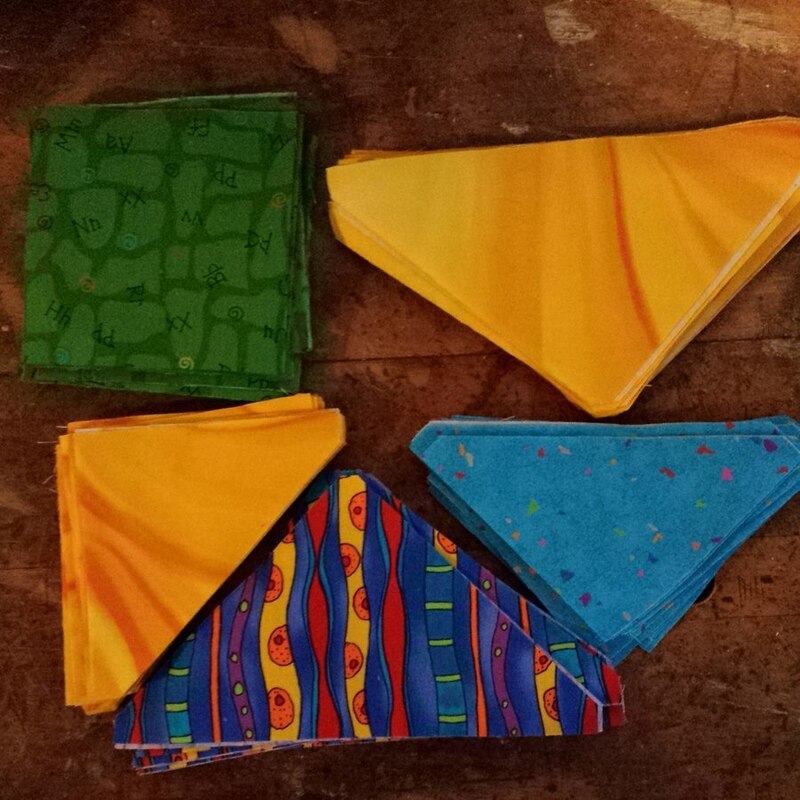 I have some great-nephews that aren’t such babies anymore still waiting on baby quilts from G-Auntie J. One is done and delivered! 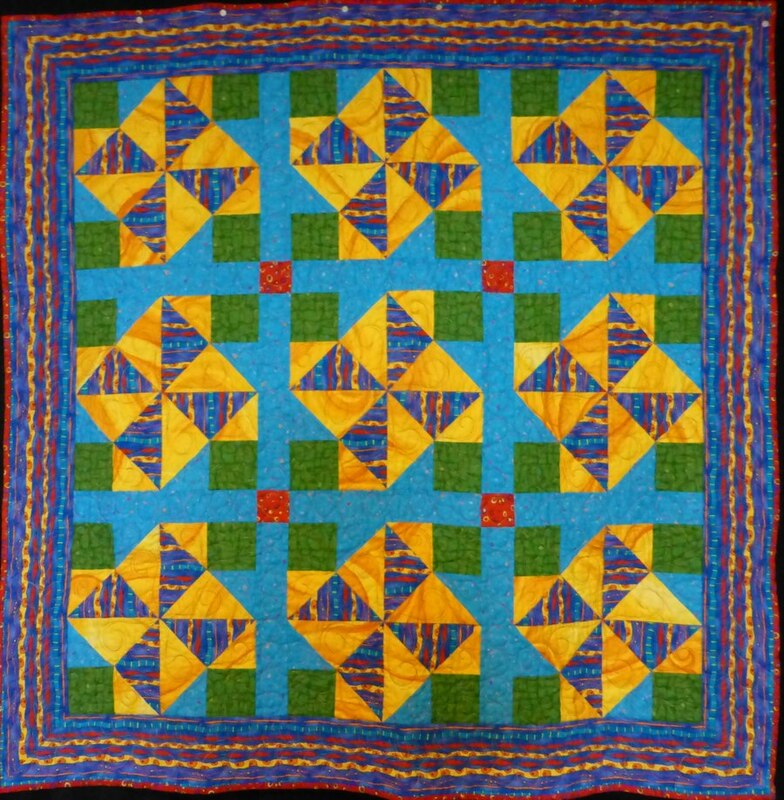 Accuquilt 12″ die pattern called Windmill. Speed cutting and easy piecing. 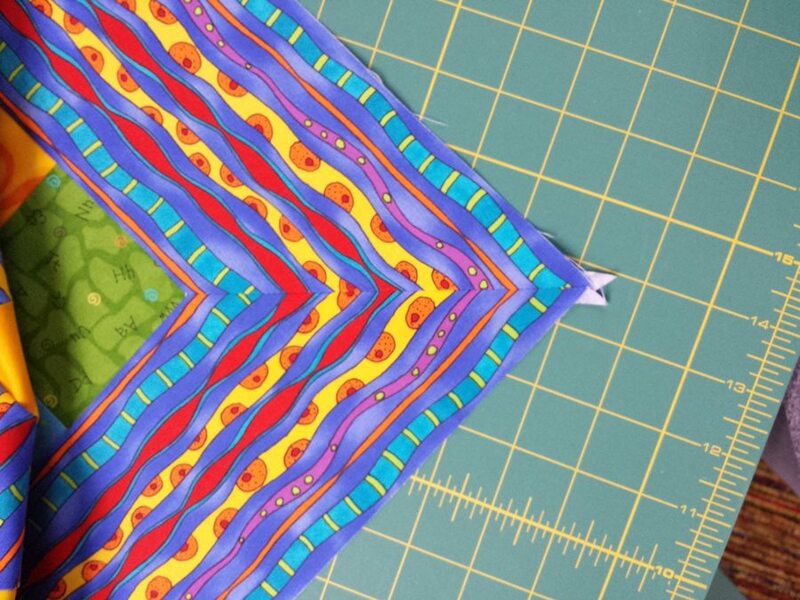 This border fabric begged for mitered corners! 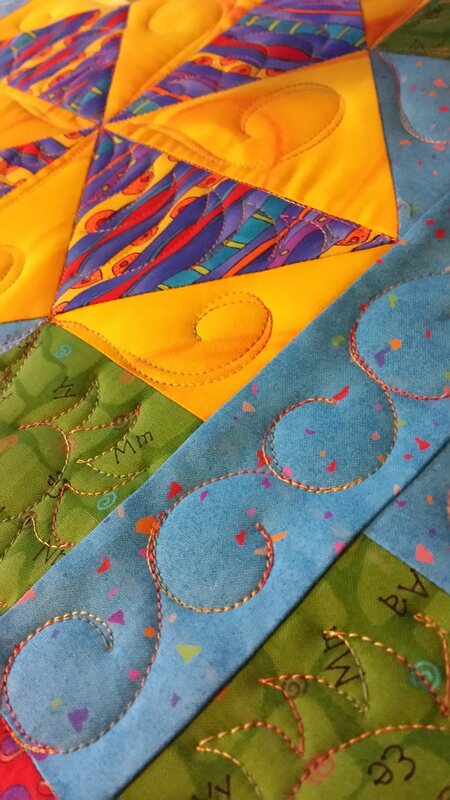 Then I played with the quilting. A variegated yellow-ish thread was fun! 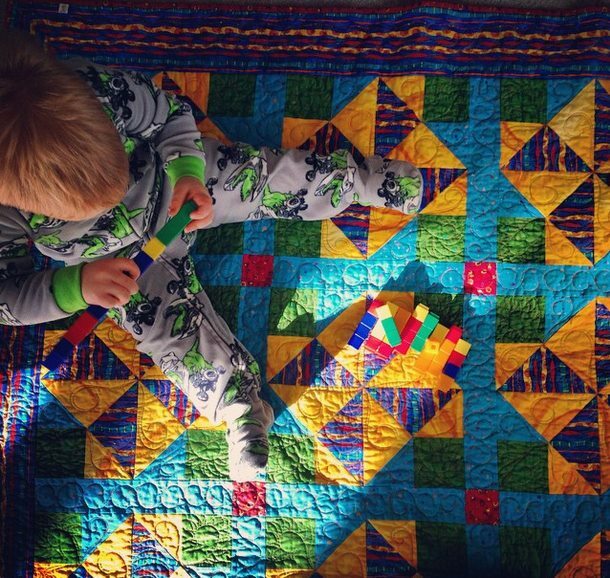 The little man on his quilt!